The CONNECT Team invites everyone to participate in a congregation-wide study of The Book of Acts! Like the popular concept of the great read, St. Stephen’s members will all be reading Acts at the same time! The congregation is invited to join with a couple of St. Stephen’s brothers and/or sisters and invite Jesus along weekly for 45 minutes of discussion and prayer. Here’s how it works. Connect with one or two others— they might be someone you know well or someone you don’t know well, yet. Then starting today, get together with your partner(s) in person, on the phone or electronically and discuss a couple of chapters of Acts. Each week you’ll work your way through two chapters and discuss what is happening, what God is telling us, and how we can move forward in our Christian lives and as the body of Christ. There will be gatherings and check-ins several times during the great read, but for the most part this is a special opportunity for you to experience Acts with a study partner or two and probably create a lasting friendship in the process. CONNECT Team: Luke Martz, Julie Buss, Patti Etheridge, Adam Lohrmann, Marshall Heyworth, and Pastor Elisa. 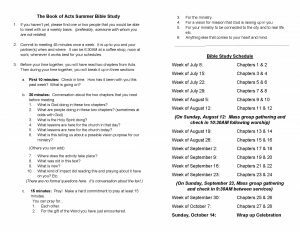 Get to know the Book of Acts with a friend. It’s a great read! Join us September through May for Bible study, great discussion, and fellowship. Beginning in January, we are studying John. Please come and look at John through your own lens and share your insights. Bring your lunch if you like. Participant books are available. St. Stephen’s offers a variety of adult education and enrichment materials. Free copies of Christ in Our Home are available quarterly and provide daily devotional meditations. These are available on the ledge under the Confirmation photos. We also have a library with resources for all ages. Additional devotional materials are often made available for sale throughout the year.